Protect your property while adding immense value by turning to the professionals at Academy Door & Repair. Unfortunately, garage doors don’t typically get the attention they deserve. Homeowners want something that’s attractive and opens and closes properly, but don’t know the right types of doors to choose for their needs, or how to maintain each component of the system. However, with our garage door service in Frisco, TX, as well as in Addison, Plano, and surrounding areas, you can have a greater sense of peace of mind about the safety and value of your home. At our company, we are committed to serving all customers in a professional manner and providing our services at fair prices. Our dedication to our clientele extends beyond the end results and permeates throughout the entire process. 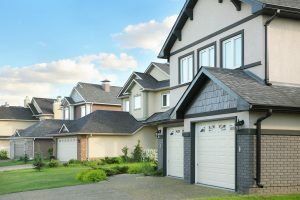 So whether you need Frisco garage door repair or a complete replacement in The Colony, you can trust us for fast, convenient, high-quality solutions. Has your garage door seen better days? Before you paint it to cover up the real issues, consider a garage door replacement. If you’ve had the same door for as long as you can remember, there are probably safety and security risks you don’t know about. With a new garage door, you can take advantage of safety features like automatic stops if something is in the way. This means you won’t accidentally close the door on people, animals, or your car by mistake. Garage doors are also made much differently than they were a couple of decades ago. They are made of stronger materials and have more durable construction, making it harder for potential vandals to break in. Trust us for all your garage needs. Whether you need to replace or repair your openers, springs, or the door itself, we have the garage door service for you. We also serve commercial clients. So no matter what type of system you currently have in place, we’ll take care of it. We understand that your garage door is the gateway into your home or business, so when it’s compromised, you need to have it fixed as soon as possible. That’s why we offer same-day service for all our customers. 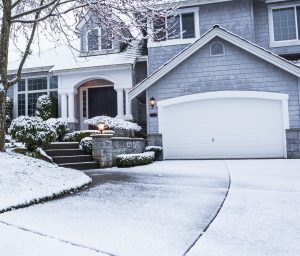 This way you don’t have to worry about exposing your property to inclement weather, or potential theft or vandalization. So talk to our Frisco garage door repair professionals whenever you notice an issue. Make your home or business safer and more secure by contacting us today for reliable garage door service in Frisco, TX and surrounding areas. We proudly serve residential and commercial clients throughout the Colony, Frisco, Denton, Carrollton, and many other areas in Texas.